Approximately 1418 members of the AIF listed Leichhardt as their suburb, this figure includes a handful of soldiers who returned to Australia during the war and re-enlisted. 160 Leichhardt soldiers are listed as having been killed in action, additionally 54 soldiers later died from wounds suffered in action, 12 soldiers died from disease, one soldier died in an accident, and one soldier died as a Prisoner of War, for a total of 228 dead. 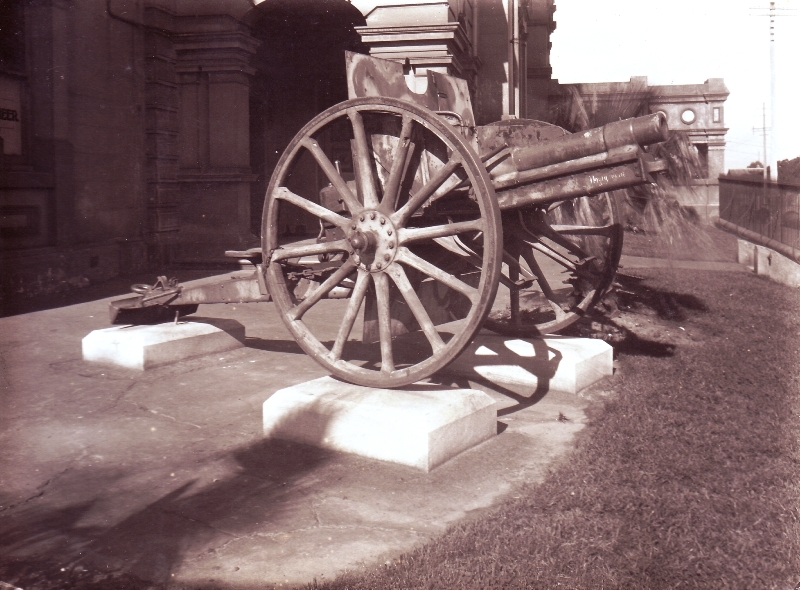 Following the War, Leichhardt Council was given a gun that was seized by Victoria Cross recipient William Currey during the attack on Péronne in the Battle of Mont Saint-Quentin. TThe War Trophy Distribution Scheme originally gave Currey’s gun to Willoughby Council but an arrange with Leichhardt Council was organised. The gun was placed outside Leichhardt Town Hall. It is not known what happened to the gun. WILLOUGHBY.-77 m.m. field gun, captured by the 53rd Battalion, A.I.F., during operations near Peronne, in France, on September 1, 1918. Note that the gun Leichhardt recieved in the end was the Willoughby gun.